Reflecting on 2010. Looking forward to 2011. We had our biggest 3-Day team yet and a multitude of great fundraisers. The Cancer thrivers planned a wonderful event to raise awareness of hereditary breast and ovarian cancer in the community, and I got to model some really cute jeans. I was promoted to Managing Partner of Brogan & Partners and I’m loving my new role. We had lots of family vacations including a ski trip, family camp and multiple trips to Northern Michigan. I finished my 3 year clinical trial on Zometa which included quarterly visits to my Oncologist with a quick infusion. The completion of my clinical trial meant I got my chemo port removed and I even got to keep it as a souvenir. 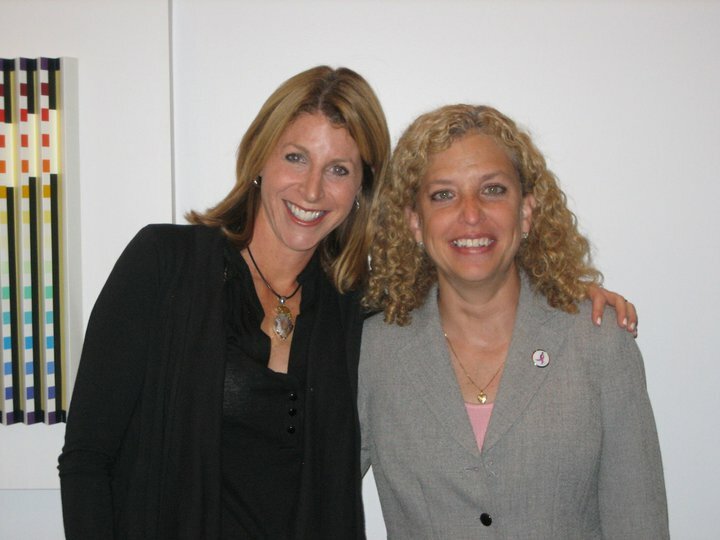 Congress passed a National Hereditary Breast and Ovarian Cancer Awareness Week–a huge step in educating women about their risks. While my family and I experienced lots of joy, I was reminded all to often of the true fragility of life. The funeral of a true cancer warrior who’s infectious smile and personality will be missed and always remembered by all who were lucky to know her. A breast cancer recurrence in a remarkable woman who I think and pray for daily. A pancreatic recurrence in another young woman–an old family friend. I can only hope and pray that her chemo treatments are demolishing cancer cells daily. And far too many others to mention in this short blog post. As I write this, I have high hopes for 2011. I hope that 2011 brings new treatments for all types of cancers. I hope that 2011 brings improved health for too many people suffering with metastatic disease. I hope that those newly diagnosed with cancer in 2011 have an early diagnosis and the strength and support to kick cancer to the curb. Finally, I hope that all of you have good health, prosperity and lots of happiness in 2011. It’s been 3 weeks since my 3rd 3-Day experience ended. This year, I had the honor of carrying a flag into opening and closing ceremonies and standing in the Survivor Circle with 7 other survivors. This was, without a doubt, the coolest part of any 3-Day walk. It started the day before when I had to go to OCC and rehearse. The stage was set up, the crew was there and the place was buzzing. If you’ve ever walked before, you will have a deep appreciation for how I felt when I drove into the parking lot and saw the stage. Kind of like Halloween morning when you were a child or the first day of summer camp. I look forward to seeing that stage every year and I got a sneak peak on Thursday. So after we rehearsed and I learned the plan for opening ceremonies, I went over to crew day to join my dad (the official photographer of Michigan’s 3-Day). I must admit, it was about that time when I started to get a little sad about sharing my personal and team photographer with the 1900 other walkers but on the flip side, he was around the whole weekend. We even ate lunch and dinner together on Friday and he could easily track us down in his official 3-Day vehicle. Friday morning could not come quick enough. Although I’m pretty sure the Huntington Woods crew thought it came a little too quickly. Yes we were among the first walkers to show up to opening ceremonies. I like to be on time, actually early, and I was hoping to get some good pics with the team before I had to sneak back stage. Fast forward 2 hours (told you we were there early), I proudly walked out with my commitment flag (smiling ear to ear–with pictures and videos to prove it). And I stood in the circle holding hands with the other 7 survivors as Jenne Fromm led us through opening ceremonies. As soon as opening ceremonies were over, we were off and guess who got to lead the walkers–me. OK, I was 2nd in line but still it was super cool, and I danced my way out of there as the music blared. 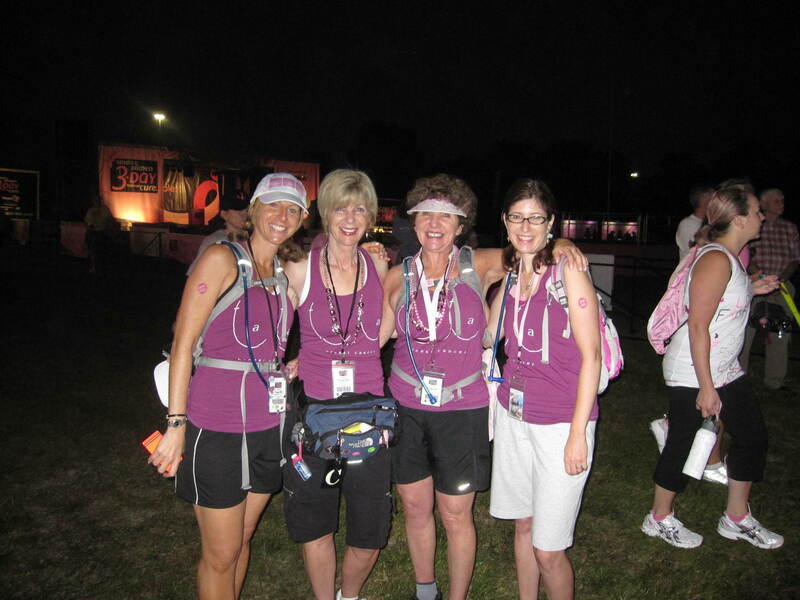 Afterwards, I circled back, met up with my team and started the 60 mile walk. And we walked and walked and walked. And it was the hottest three days ever. And I loved every minute of it (ok not exactly every minute) but I loved the walk, the feeling of doing something so powerful, the feeling that I am making a difference with each step. It’s intense and it’s great. No words can describe the feeling that runs through me throughout the entire weekend. 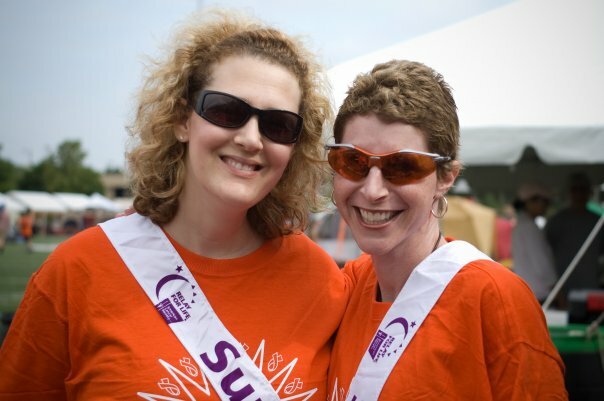 I walked with old friends, new friends, coworkers, family and countless survivors. I met new people and shared stories and we encouraged each other along the way. 60 miles, gallons of Gatorade and many blisters later, I marched into closing ceremonies. Back to the survivor circle, back to Jenne’s powerful voice and back where I started 3-Days earlier. And as I left Ford World Headquarters, I looked forward to jumping in the pool, sleeping in my bed and planning for my 2011 journey. The walk is 2 weeks away. It’s hard to believe another year has gone by but it has, and we are almost there. 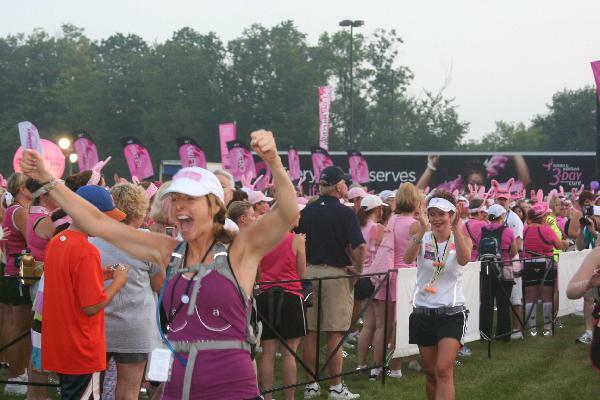 We’ve raised nearly $100,000 for the 2010 Susan G. Komen 3-Day. And I am so incredibly proud of my hard-working 3-Day teammates for planning fundraisers, training, buying lots of gear and working so hard to win this battle. Ta Ta ladies bartending at Lily's Seafood. This is a big huge thank you message to my team, my supporters, my blog readers and the ones who I spam with countless emails about my fundraising and other activities. Thank you from the bottom of my heart for supporting me and helping me reach my goals. I am touched beyond belief each day at the generosity of all of you. We are 25 days away from the start of the 3-Day. It’s hard to believe it’s almost here–a year of fund raising, training, picking out shirts and getting ready for the big event with my team of over 45 members. As of today, Ta Ta Breast Cancer has raised nearly $90,000 and we are shooting for our $125,000 goal. We’ve had more fundraisers than I can count and nearly 1,200 individual donations to our team. I’m very impressed with this group and extremely proud to be team captain. Next week, we have a brand new fund raising opportunity. It’s one more way for my team members or any other walkers to reach their goals. 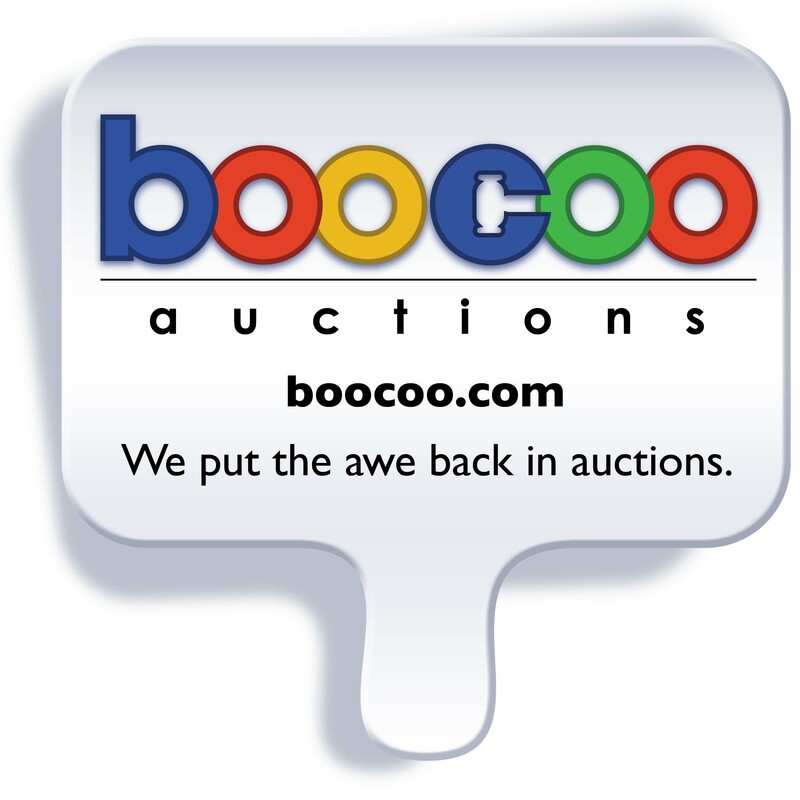 My newest client boocoo auctions is conducting 2 hour auctions for 7 days straight starting this Sunday 7/25 at 8pm. It’s a pretty easy concept. Bid on some super cool items. If you are the winning bidder, select your charity and the entire amount you pay for your item will be donated to your charity. Better yet, see if any of your friends are in the market for an Ipad, a flat screen tv or a new sound system. Take a look at all the great items available and mark your calendars. 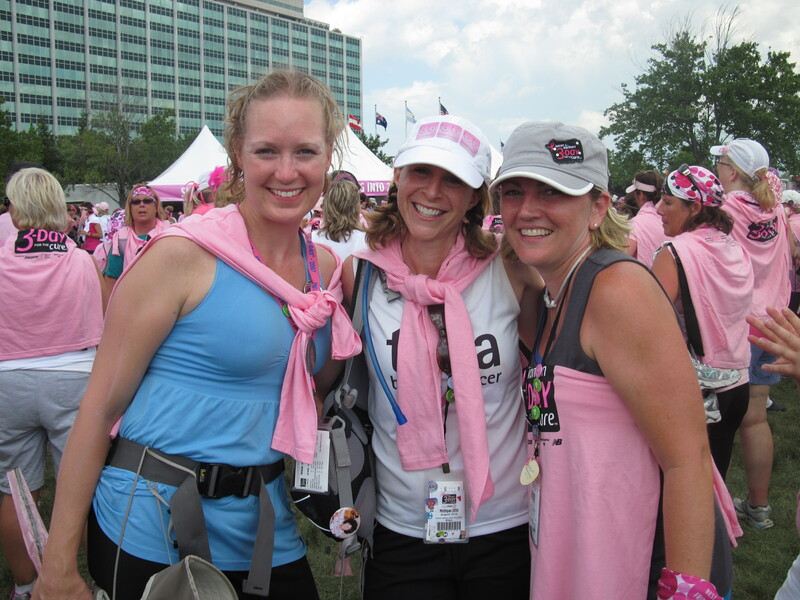 The Susan G. Komen 3-Day for the Cure is still 4 months away but we are in heavy planning and fundraising mode. Very soon we’ll be entering training mode. So much exciting news to report. We now have 48 team members–nearly double the size of last years team and we are shooting for $125,000. We’re still growing too and until Midnight CT on 4/23, you can save $25 off the registration when you use GOTEAM in the promotion code. So come on…Join us…We promise you an experience to remember. In other news, we have tons of great ways for you (if you don’t want to walk) to help our team. Getitpersonalized is offering a great Mother’s Day promotion. Stop by Sunday April 25 from 12-4 or Tuesday April 27 from 12-5, get your photo taken or bring in an existing photo, pick out your gift and they’ll have your personalized photo gift ready for you before Mother’s Day. Gifts start at $15. Be sure to mention Ta Ta Breast Cancer and 20% will come back to our team. Shop for a cause at AISH in Oak Park on May 6 from 6pm-9pm. Great shirts for kids and adults, jewelry and personalized notecards. Join us for drinks, dessert and singing with Lisa Soble Siegmann on May 16 from 7pm-10pm at the JCC Teen Center–a little bit of camp in the heart of West Bloomfield. The cost is $36 per person and $50 per couple and every dollar gets donated back to the 3-Day. Join us for our annual fundraiser at 24 Seconds in Berkley, Michigan Monday June 21 5:00-9:30 for all you can eat pizza, salad, turkey roll ups, veggie roll ups, chips and salsa plus mac and cheese, chicken tenders and french fries for the kids. $13 for adults, $7 for kids. We hope to see you at our 2nd annual 3-Day 4th fest July 2 from 6:30-11:30 for great food, raffles, auction and fun. As spring approaches, In home Window and Carpet Cleaning will donate a percentage to Ta Ta Breast Cancer (and they do a great job). Be sure to mention Ta Ta Breast Cancer when you book your appointment. For some great pampering, visit TD Nails in Berkley on Mondays or Tuesdays and mention Ta Ta Breast Cancer and a portion of your service will come back to our team. If you can’t make it to any of our great fundraisers and still want to support our team, visit our team page and choose any one of our 48 team members to make a donation. We all have to make $2,300 and we appreciate every penny you can donate. 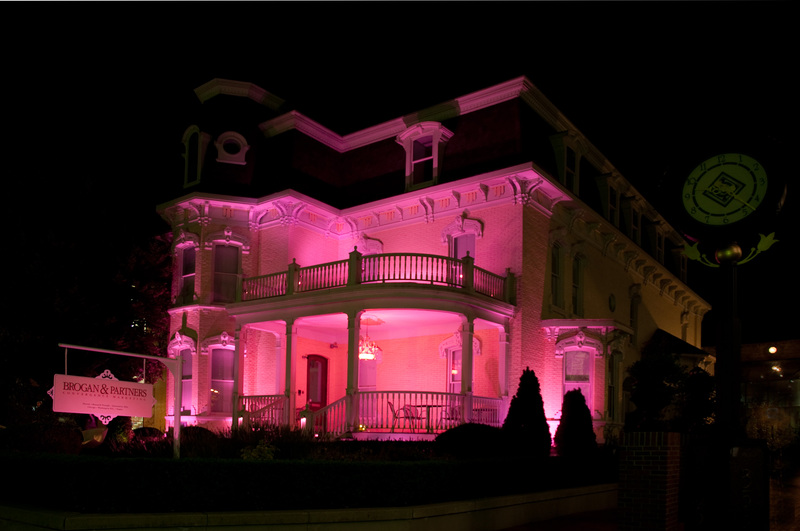 Thank you for helping Ta Ta Breast Cancer say goodbye to breast cancer forever.